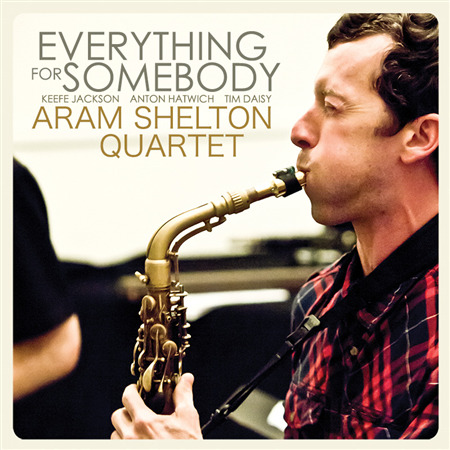 Everything for Somebody is the second album by the Aram Shelton Quartet. It features six compositions that place the players in familiar and challenging territory, with an eye towards exploring the many pairings available through solos, duos, trios and the full quartet. All four members contribute narrative solos to this album, displaying their individual styles while making a collective music that is joyful, energetic, raw and poignant. In this quartet, Shelton is joined by Chicagoans Keefe Jackson on tenor saxophone, Anton Hatwich on bass, and Tim Daisy on drums.